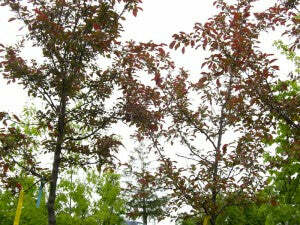 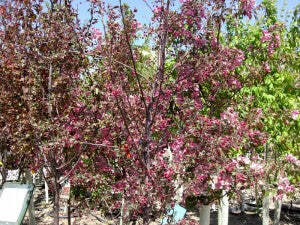 Description: Very floriferous with deep red buds that open to purplish-red flowers, then fade to purplish-pink. 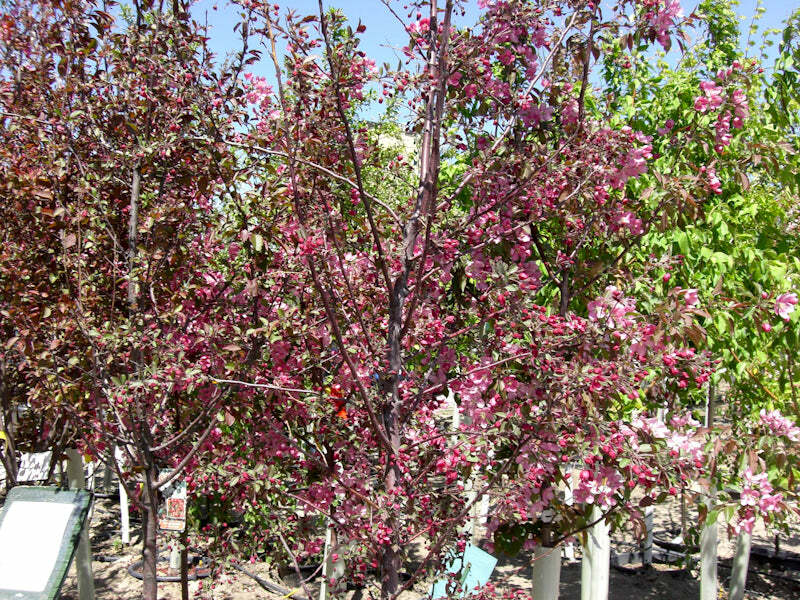 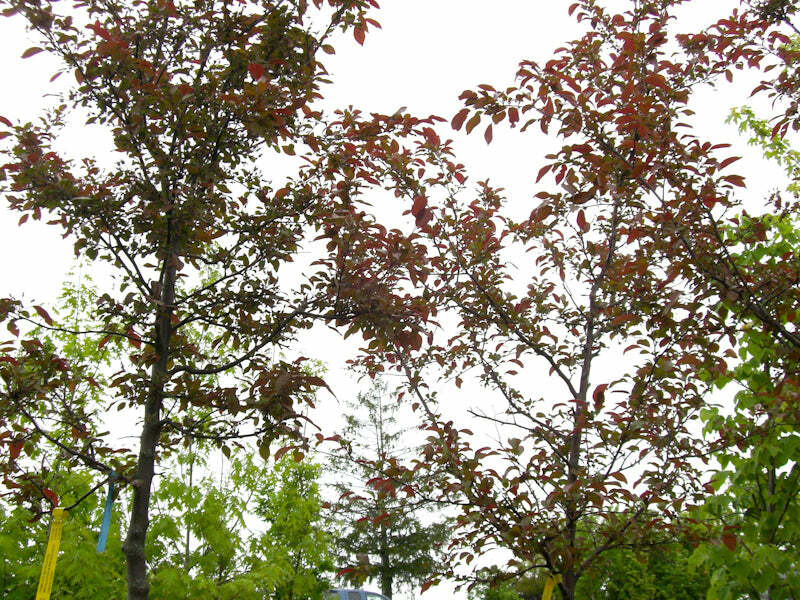 The immature foliage emerges purple then fades to bronze- green. 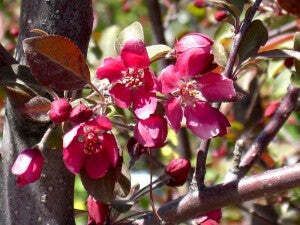 The persistent fruit is oxblood red.